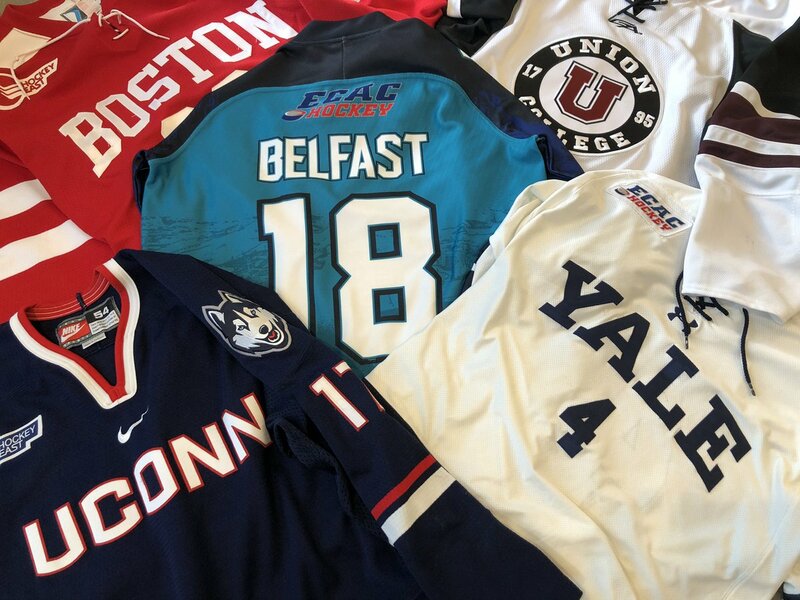 Terriers are on the other side of the pond today taking on conference rival Connecticut in the opening round of the 2018 Friendship Four Tournament in Belfast. Game time for the contest, which will count in the Hockey East standings, is 2 p.m. with the broadcast on NESN and a live stream on ESPN+. The other first-round game matches Yale and Union with the championship and consolation games set for Saturday. UConn’s record is 5-6-1 after being swept by Lowell last weekend. The Huskies’ offense is led by freshman Jachym Kondelik with eleven points and Alexander Payusov with ten points, including eight goals. Adam Karashik heads a veteran defense corps while Adam Huska has handled the bulk of the goaltending duties (2.60, .921). After dropping its first four games of the season, the Terriers are 3-1-1 in their last five. BU continues to be paced by co-captains Dante Fabbro (11 pts.) and Bobo Carpenter (nine points including six goals). Assistant captain Chad Krys has seven points while Joel Farabee and David Farrance have six apiece. Jake Oettinger (3.09, .904) has started eight of BU’s nine games. BU and UConn last met in the 2018 Hockey East quarterfinals, with the Terriers winning a pair of one-goal games. Graduate transfer Max Willman will be playing in his second Friendship Four Tournament, having skated for Brown in the inaugural event in 2015. Thornton and Johnson, members of BU’s 1995 national championship team, were the driving forces that established the Friendship Four Tournament. 2019 recruit Case McCarthy assisted on two goals, while Domenick Fensore and Trevor Zegras each recorded a helper in the NTDP U18s’ 5-4 loss to Bowling Green. The night before Thanksgiving was an especially good one for Terriers in the NHL—both players and coaches: Jakob Forsbacka Karlsson—goal and assist (video), Evan Rodrigues—game-winning goal and assist (video), Jordan Greenway—goal (video). Colin Wilson—goal (video), Kevin Shattenkirk—2 assists, Charlie Coyle—assist, Matt Nieto—assist. And all three Terrier coaches in the NHL—John Hynes (Devils), David Quinn (Rangers) and Mike Sullivan (Penguins) were winners Wednesday night. Quinn’s Rangers are 9-2-0 since October 30.